Socca— also called farinata or cecina– is an unleavened pancake made from chickpea flour. It originated in Italy, and has a distinct earthy flavor that sublimely compliments all sorts of savory toppings. Aside from tasting fantastic, socca has the added benefit of being gluten-free. And while I’m not gluten-intolerant, I have been trying to go easy on my intake. I like that they are so versatile and can be topped with any number of ingredients. This dish is one of my favorite ways to enjoy them. 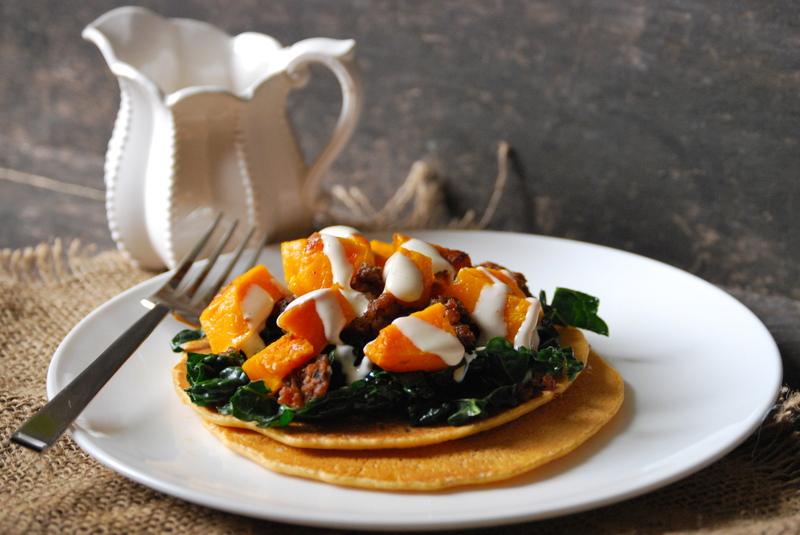 Here I’ve added kale, sausage, and squash as toppings to the socca. The flavor combination is magnificent. Roasted sweet potato is another nice option. And the buttermilk vinaigrette stands out just enough to tie everything together without overwhelming the dish. It’s made with an apple cider vinegar that compliments the other flavors remarkably well. The vinaigrette calls for raw egg yolk, which you can opt to leave it out, if you like. I’ve noticed that this changes the texture a fair amount– it’s not as rich and silky. Personally, I recommend making the dressing with the yolk, but make sure to use it up right away as it won’t keep long in the refrigerator– which won’t be a problem once you taste it. It’s that good. This is a meal that comes together rather quickly as long as you manage your time wisely. As in many dishes, a little bit of preparation goes a long way. One thing to note, like typical pancake batters, you’ll get the best results if you let the water absorb into the flour for a couple of hours. Even so, if you don’t have time to let it rest, it’ll still be fine. Perhaps not quite as amazing, but good nonetheless. Socca is great to try if you are gluten-intolerant or just want to change up your routine a bit. It is loaded with protein and is a nice healthy choice for you and your family. Hope you give it a try! To make the Socca: Combine the chickpea flour, water, egg, olive oil, smoked paprika, and salt in a large bowl. If possible, let mixture rest in the refrigerator for 2 hours, so that the water can absorb adequately into the flour. Though, I’ve made them without doing this step, and they were still fine. When ready to make the socca, heat a large skillet on medium-high heat. Put a thin coating of olive oil on it and a sprinkle of kosher salt. Pour the batter into the pan and cook until tiny bubbles appear in the batter. Flip the pancake. Repeat until the batter is gone, re-coating the pan with olive oil, as needed. 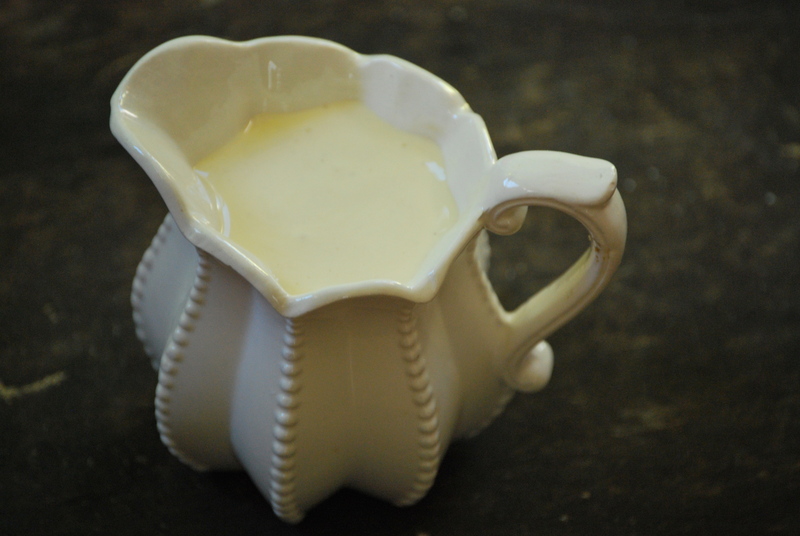 Things to do beforehand: Make the Buttermilk Vinaigrette. Combine all the ingredients, except the oil in a blender. Slowly add the oil while the blender is running. Refrigerate for about an hour and then re-blend. This will thicken the vinaigrette up even more. Re-season with salt and pepper, if necessary. 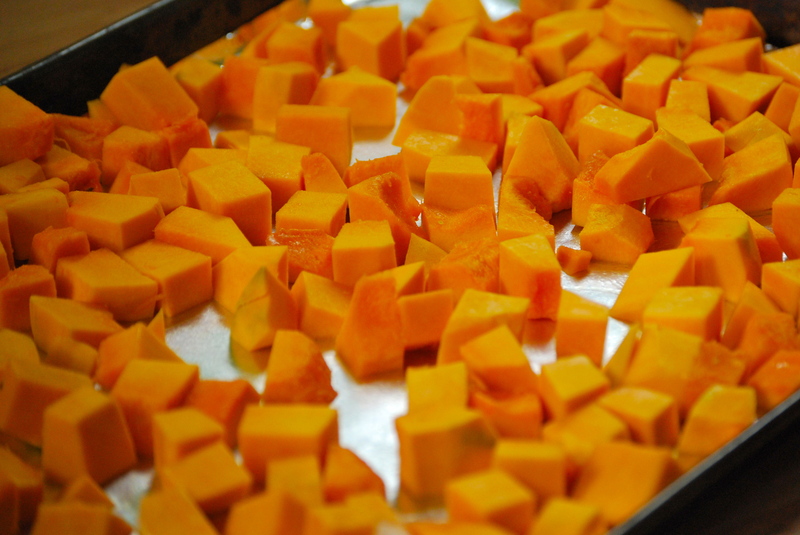 Prepare a medium-sized butternut squash by peeling it and cutting into cubes. Coat with a splash of olive oil and a sprinkle of salt and pepper. Place on a baking sheet and bake at 400°F for about 25 minutes, or until tender. Tossing a couple of times while baking. Set aside. Brown the Italian sausage, drain grease and set aside. Right before the socca is ready to be cooked, sauté the kale in a hot skillet with a thin coating of olive oil. Cook for just a minute or so. The kale will wilt just slightly. Sprinkle with sea salt. 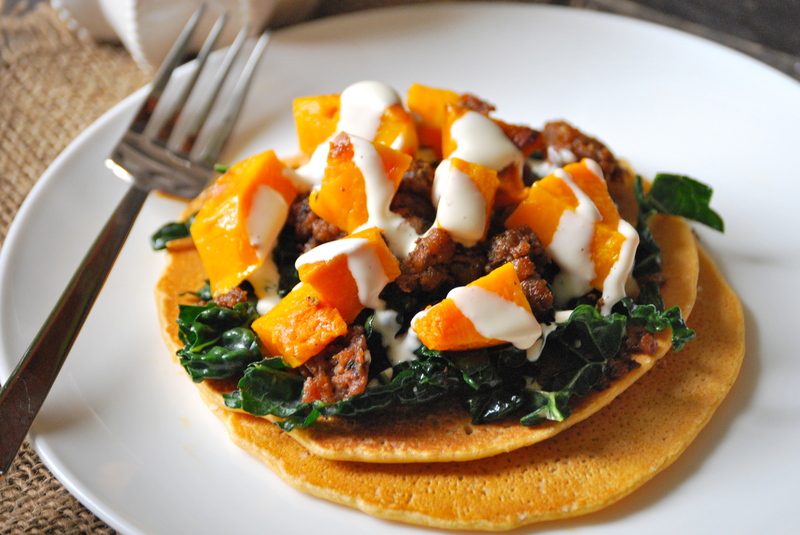 Assemble the pancakes by topping with the kale, sausage, and squash. Drizzle the buttermilk vinaigrette on top. Enjoy! This sounds really really lovely – such a great combination of flavours and I definitely want to check out those chickpea pancakes. What a great gluten free alternative! Thanks, Kathryn. Even for people not trying to eat gluten-free — these chickpea pancakes are a great choice. They have such a earthy, distinctive flavor!